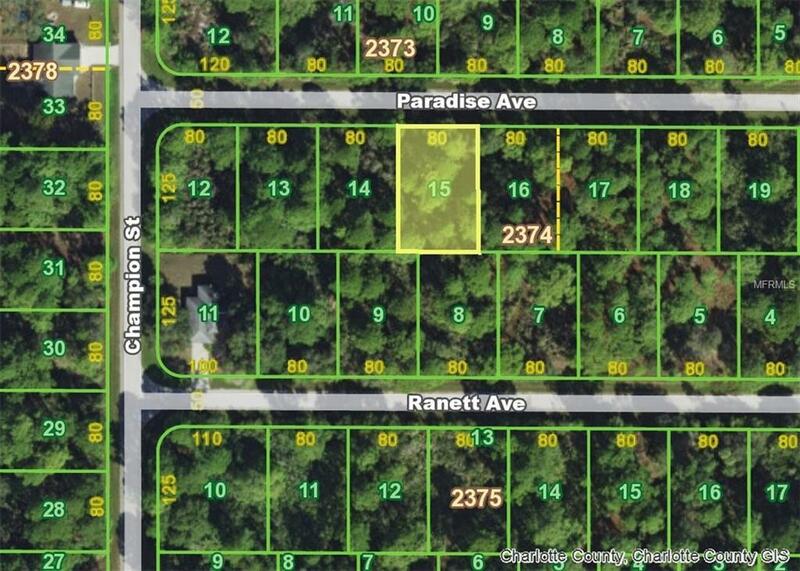 PORT CHARLOTTE lot in great convenient area to build your Florida Home on. Near all the great shopping in North Port and Port Charlotte Town Center Mall. Take a short drive to our beautiful Gulf Beaches for a day of fun in the sun or go fishing. The new Atlanta Braves Baseball Park just minutes away. Call today for more info and info on Custom Home Builders.